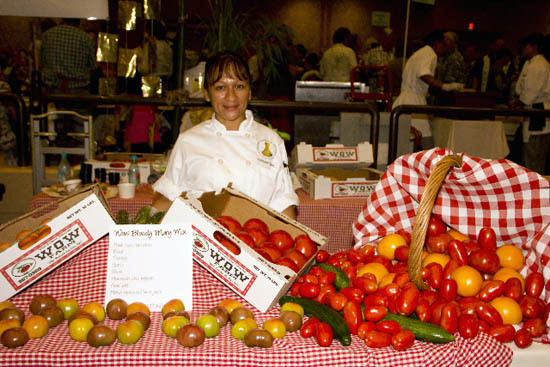 The state’s premiere ag showcase again offers a free trade show for Hawaii farmers, ranchers and food producers to hookup with Taste attendees. Called the Agriculture Festival, the expo coincides with the 6-8 p.m. Taste of the Hawaiian Range. The Agriculture Festival provides a venue for food producers to present their products to participating chefs and attendees. The expo is also open for agricultural and sustainability-themed organizations to present informational displays. Producers interested in participating may contact Amy Shimabukuro-Madden at 808-974-4107/410-933-0853 or amysanae@hawaii.edu. The signup deadline is July 30. Those interested in having an educational display may reach Victoria Vrooman at 808-640-4492 or vvrooman@hawaii.edu. Taste will headline more than 30 statewide chefs who will dazzle diners using various cuts of forage-fed meats and a cornucopia of island fruits, vegetables and other farm products. Also on tap is a 3 p.m. culinary activity, “Grass Fed Beef Cooking 101,” presented by James Babian, executive chef at Four Seasons Resort Hualalai. Sponsorship also includes the Hawaii Tourism Authority, the Hawaii County Research and Development, Hawaii Community College Food Service & Culinary Program and KTA SuperStores.